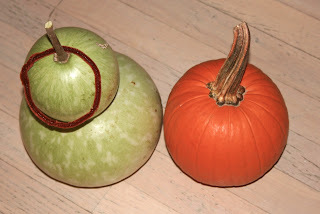 When is comes to Thanksgiving there are a few things my grandchildren expect. One is to get plenty of attention. Another, I will try to cook at least one of their favorite foods and most importantly, we will work on a craft. This year, we will be making pom pon turkeys. They aren't hard but I had to work on it to get the pattern down. I saw something similar at Michael's the other day and I thought my little ones would LOVE it. It is a tight small pom pon for the head, made from yarn (on sale now) and a larger, looser pom pon for the body. 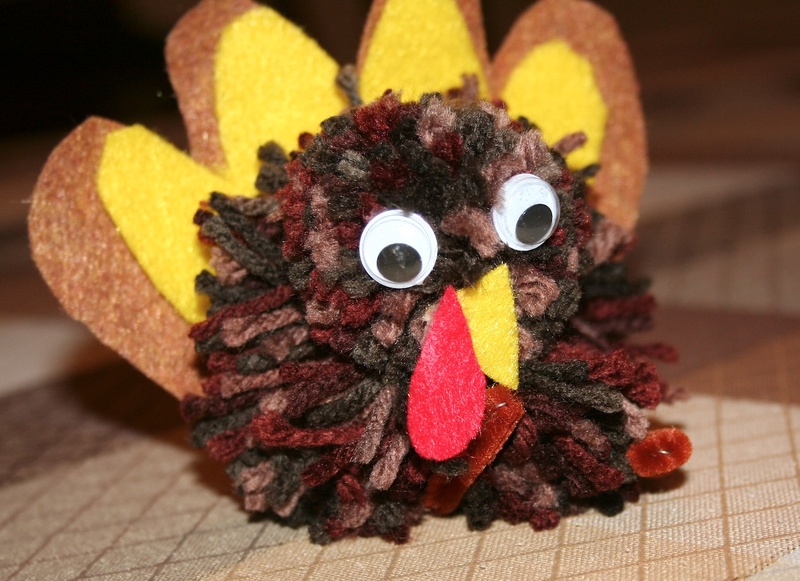 I tied them together by a chenille stem (we always called them pipe cleaners) and used the stem to help stabilize the turkey. I used 4 fingers to make a pattern for the tail feathers from two pieces of felt and glued them to the back of the turkey and cut a triangle for the beak and a red teardrop shape for the wattle, also from felt. I added two google eyes and I was finished. I am thinking about cutting two chenille stems in half to make some comical feet. I think my two 5 year-olds and my 7 year-old will love it. 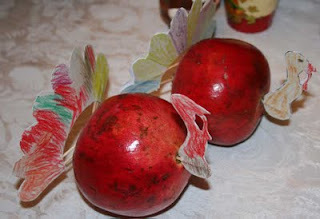 Last year we made pomegranate turkeys. There have already been some inquiries about the pomegranate turkeys. We may have to make them, too. Another thing I would like to do is make a ring toss game with some of my fall decorations. You must admit they are perfect and a chenille stem made into a ring is also perfect. I think they will have fun. Gardening in the "short days"